Whilst a single strand necklace of white pearls might be a sign of understated elegance, a multi strand pearl necklace layered with large, luxurious pearls will always turn up the glamour. 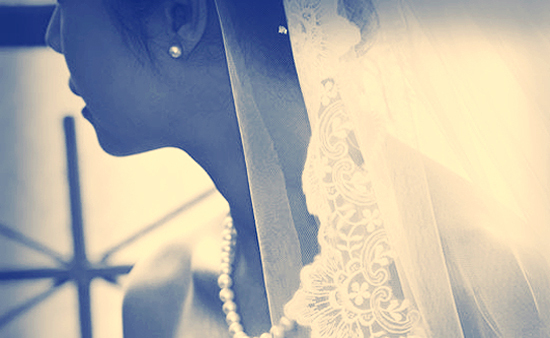 Some of our most popular, powerful and loved women have chosen to wear this type of necklace with its legendary style. First Lady Jacqueline Kennedy, pictured above, was frequently setting the style of the moment with her triple strand of faux pearls. 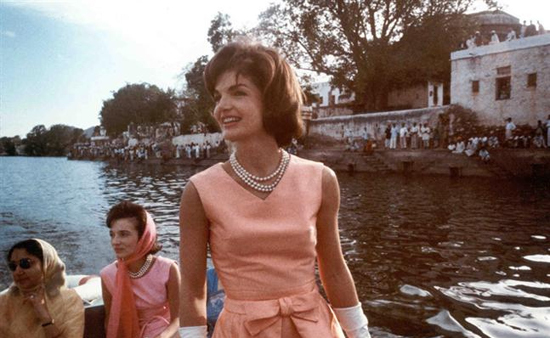 In this famous series of images of her in India in 1962, the First Lady is wearing a princess length triple row necklace, with an apricot silk dress and long white gloves. Layering long mixed strands of pearls, chains and other stones has not only been a sign of jewellery fashion in recent years, but also consistently throughout history. 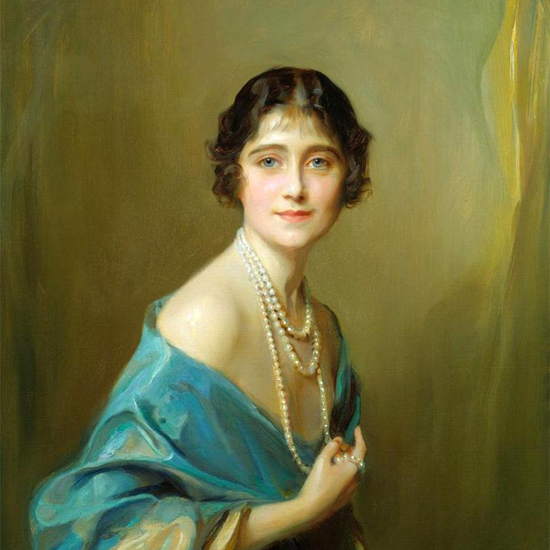 This beautiful portrait of Elizabeth Bowes-Lyon, Duchess of York, by Hungarian painter Philip Alexius de László in 1925 shows the Queen Mother wearing a long pearl necklace with three strands of pearls. The necklace lays elegantly across the shoulders, with the Duchess holding the longest strand in her right hand, as if telling us of her affection for these lustrous gems. 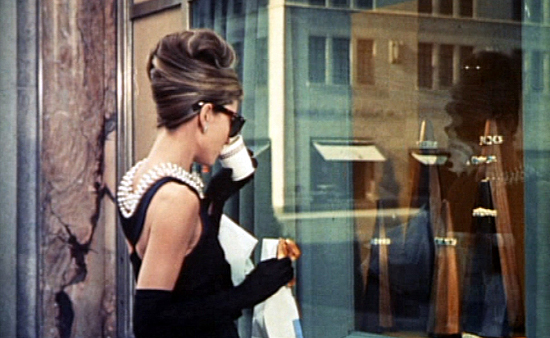 Perhaps the most famous multi strand necklace of recent times is Holly Golightly's famous five strand pearl necklace in Breakfast at Tiffany's. Although the pearls used for this statement necklace were imitation, the flattering effect of layering pearl strands captured the public's imagination and continues to be in vogue today. 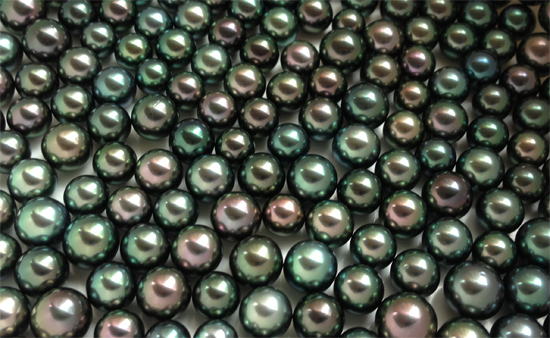 At Winterson, we offer two styles of multi strand pearl necklace. Our Triple Strand Freshwater Pearl Necklace with Diamond Clasp is made with the prettiest of round to near round freshwater white pearls, graduated from 4 to 8.5 millimeters in diameter. The pearl matching is excellent and the lustrous gems are held in position with a sparkling 18 carat white gold diamond clasp. Worn with a fitted pencil dress, this graduated pearl necklace will effortlessly create an elegant vintage look. For a versatile multi-strand necklace, our Long White Freshwater Pearl Rope Necklace with Silver can be worn long in a single strand, like a flapper necklace, but may also be twisted two or three times around the neckline. With three twists, this choker length multi strand pearl necklace can be dressed up or dressed down depending on the occasion.